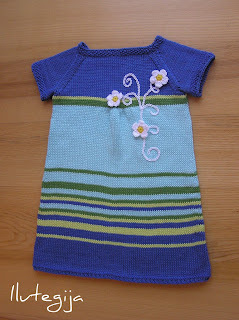 And also a knitted minidress/tunic with white flowers. I just cant help myself. 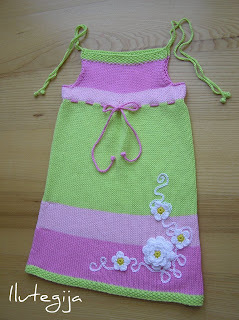 I love making these little cute summer dresses. 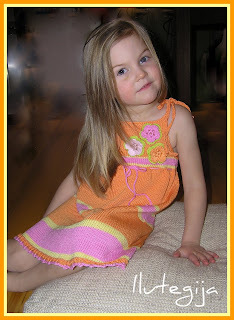 This dress is made of my favorite yarn. Its 60% bamboo and 40% cotton. Itś soft and smooth and just perfect!! I have alway been very conservative when it comes to colors. I never wear bright colors. Maybe itś because i´m not bold enough or i dont want to draw too much attention to mayself. But still i love colors. 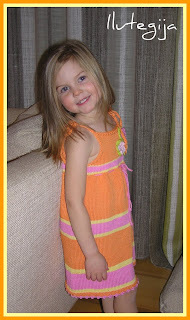 And so when my daughter was born i discovered a whole new world of bold, bright and beautiful colors. I love to experiment and combine. 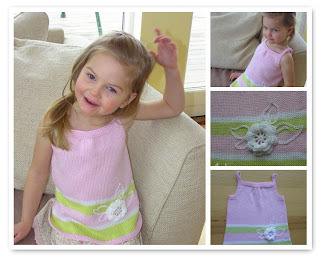 So here is my spring/summer 2010 first knitted dress. 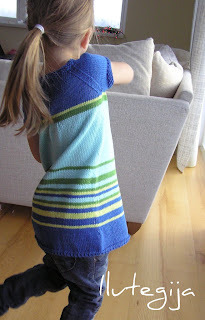 Still 100% cotton because itś just the best yarn for summer clothing. 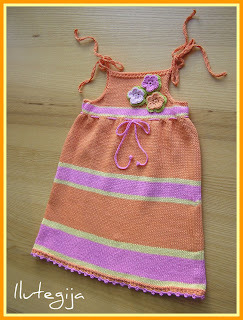 Bright orange, pink and yellow work so well together. What do you think? I decided to make a February sale in my store. So i made some special items for that. 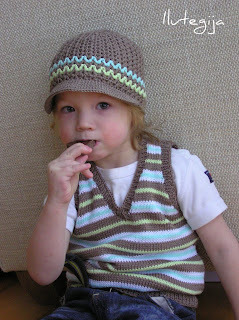 I usually use cotton yarn, but this time i used wool. For wrist warmers wool is very good. Soft and light and warm. So this time if you buy one pair you get the other for free.